The Berry Method® Lymphatic Workshop can assist therapists to not only recognize dysfunctions in the lymphatic system, but also gain the skills necessary to correct the dysfunction and immediately incorporate these protocols into their practice…go back to work on Monday and start using these amazingly effective techniques immediately. This class is accredited by the NCBTMB for 16 CEU's. 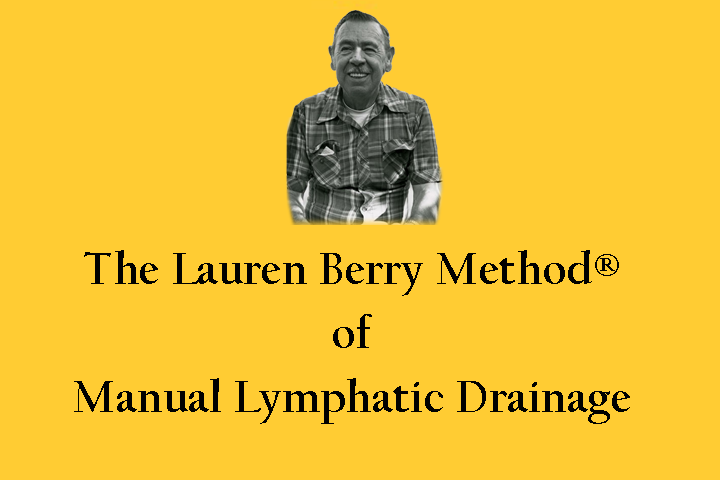 "The Lauren Berry Method® of Manual Lymphatic Drainage." Friday evening, Saturday and Sunday. Amplifying ability to manually address lymphatic dysfunctions. Increasing understanding of the lymphatic system and its functions. Enhancing ability to distinguish via visual and palpation assessment, the presence of edema and congestion within the lymphatic system. Anatomy and Physiology of the Lymphatic System. We will also demonstrate and then practice techniques for stimulating peristalsis, a major player in the body's lymphatic recycling process. Discussion, demonstration, and guided practice of techniques based on the Lauren Berry® Method Manual Lymphatic Drainage. Procedures to reduce the symptoms of constipation, asthma, emphysema, bronchitis, pneumonia and clearing breast tissue for less soreness during the menstrual cycle will be demonstrated and practiced. This workshop includes instruction on techniques to stimulate peristalsis, lymph drains for opening the lungs, drains for edema in the [reduction of edema after hip or knee replacement] extremities and drains for helping to clear the colon, head, and face. Discussion includes variations of the different Lymphatic drainage systems. Additional techniques to reduce scar tissue, cellulite, and fluid around the heart.....and hands on revue. You'll soon discover, know and feel... 'tis special. From a student that took this class with Lynn. Melanie is a physical therapist practicing in Eugene, OR. As a home health professional I frequently encounter complex lung and lymph edema situations involving dyspnea (difficulty breathing). After learning Lauren’s vacuum technique in Lynn's informative Lymphedema management class, I applied it to a woman with heart failure and an acute episode of shortness of breath. Within three pumps she was "90%" improved and stunned at its simplicity and effectiveness. She asked me to teach her family to perform it as it give her such relief which I happily did. I am so glad to have learned this simple non-invasive method that brings so much relief. I also use the Decongestion massage regularly and highly recommend… this great class. Thanks Lynn! From Christopher, after taking this class with Taum once! His parents, Joanna and Adam, brought two-year old Jacob to me. Recent success with Jacob’s grandfather, Bugs, led the grandparents to recommend message therapy for Jacob’s respiratory problems. The late Roger Bliss had introduced me to the Lauren Berry Method® of Message Therapy. 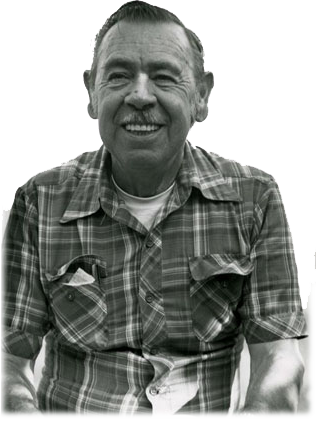 After Roger’s death, Taum Sayers traveled from Truckee, California to North Carolina periodically to offer this unique therapy and teach classes. I had recently completed the lymphatic class under Taum, and Mary, Jacob’s grandmother, hoped that something could be done to help her grandson. Jacob, diagnosed with suspected Cystic Fibrosis, had been hospitalized seven times for pneumonia in his brief two years. His blood oxygen levels were so low that, when he slept, his lips would turn blue, making his mother constantly fearful. He had very little appetite. The local hospital had sent Jacob home and advised Joanna that there was little more that could be done to alleviate Jacob’s condition. Making no promises, I agreed to work on Jacob. I did a lymphatic chest drain and messaged his back to widen the spaces between his ribs – intending to increase his lung capacity. During the procedure, his lips turned pink and his breathing became noticeably easier. He went home, ate three hot dogs and, according to his grandmother, still has good color. She reported that he hasn't had a sniffle in the two months since our session. At the time, I was dismayed that Jacob cried loudly during the session. In retrospect, his crying probably helped open his lungs and assisted in the healing process. Only one session was needed to increase Jacob’s oxygen intake and to alleviate the constant fear of his parents. Christopher Ingalls in MT Airy, NC. My first class with Lauren was in Redding, CA. He allowed students to sleep on the floor in the therapy rooms in his office, the building next to his home. My first evening I unfortunately chose a room that a colony of ants later in the evening also chose to occupy. I woke up bitten from my ankles to my shoulders. And since I am an allergies kid I wanted to go to the hospital because I knew what was to follow my multiple ant bites. When I told Lauren I needed to go to the hospital, Lauren just shook his head and said lie down. Then I became frightened. My allergic reaction was starting to make breathing very difficult. I barely breathe …I can't lie down…. I did not have my meds with me…and knew I was going to die. But Lauren knew something I did not. He could get my breathing back and he did. In half an hour we were back to class and I was fine. Thank you Lauren. Now I frequently use this technique and show it to family members so they can use it in their life. 6 times this technique has altered my life… from the inability to breathe to helping me get rid of foggy brain after anesthetic. Without this I would not be here or I would be unable to work. This work is simply amazing. Client presents with swelling and inflammation surrounding recent left knee replacement. With knowledge of the body's lymphatic system (hydraulic engineering comes to mind) , my hunch is the trauma of the surgery has compromised circulation around his new knee. I apply the techniques and protocols near his abdomen and inguinal gateway….less than 10 minutes later, the inflammation and swelling are noticeably decreased. Once again, this work comes in handy. Thank you Lauren. Over 70% of the human body is fluid. Each of those cells requires healthy circulation of the body's 'special fluids'. Every cell in the human body requires moisture... muscle, nerve, bone, etc. The Lymphatic system plays a major role in maintaining 'Healthy' cellular integrity. Lauren’s procedures address respiratory issues, the visceral components, the auto-immune system, and can provide remarkable post-surgical benefits, especially for hip and knee replacement. The Lauren Berry Method® of Manual Lymphatic Drainage is an incredibly efficient and effective (seems 'magical' sometimes) procedure for maintaining lymphatic 'balance'.